The outlaw Jesse James agitated Daniel Lewis James Sr. a great deal. D.L. could not make up his mind. Was cousin Jesse really an outlaw and criminal? Or was Jesse James something more? D.L. wondered, was Jesse more like D.L.’s son, Dan James Jr.? – A champion and warrior for social justice. When Charlie Chaplin put Dan James into Chaplin’s movies, the answer became clear. In the House on Un-American Activities Committee, America blacklisted Chaplin and Dan from movie making. The U.S. Government assassinated Charlie Chaplin and Dan James …just like Jesse James. Fresh from his graduation from Andover, Dan James Jr. clerked briefly in T.M. James & Sons in Kansas City. But beyond the door of the family store, social reform summoned him. The era of the post-Depression was a turbulent and violent one. Workers were losing jobs. Families were losing homes. People were starving. Dan read the writings of Karl Marx. In Texas and Oklahoma, Dan organized field workers, while working the oil fields, hauling truckloads of number six pipe. By the mid-1930s, he joined the Young Marxist League. Participating in a public demonstration in Kansas City sponsored by the League landed Dan in jail, about the same time his cousin Barbara James-McGreevy was jailed for demonstrating on behalf of birth control. Finding himself with Charlie Chaplin, who was a neighbor on Fountain Avenue in Hollywood and occasionally a guest at Seaward, the James family retreat in the Highlands above Carmel-By-The Sea in northern California, Dan James and Chaplin authored the movie The Great Dictator. Dan observed the improvisations of the British mime upon a draft outline, taking detailed notes at every turn. The two collaborated on the story. More important to them both were the themes of the story. The process was repeated until Chaplin was satisfied his story and message was captured on celluloid. In Chaplin’s new talkie, Dan provided distinctly American verbiage that the British born Chaplin could not. Dan embedded his own themes. The film opens in Dan James’ words, spoken by Chaplin. Giving voice to America’s most beloved mime, Dan James broke his family heritage of silence to openly challenge governmental authority, once more in the name of liberty. Just as his cousin Jesse James had done against unjust authority. Just as his great-grandfather’s band of rebel preachers had done with federal government. Dan James challenged no less than the tyrannical governments of Germany’s Hitler and Italy’s Mussolini. The collaborative relationship between Chaplin and Dan James was close. In Chaplin, Dan James found his mentor. He called Chaplin his surrogate father. At extended lunches between filming, the two argued strenuously over social issues. At night, the Communist Party provided Dan a social life, filled with fundraising events for numerous social causes. 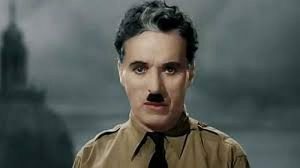 Chaplin has been regarded historically as being a member of the Communist Party, although Dan’s daughter Barbara states Dan never saw Chaplin at meetings. While making movies, Dan James told Charlie Chaplin of his experience in San Francisco when Dan worked for Harry Bridges, the longshoremen’s organizer. Chaplin seized upon Dan’s story immediately and put the scene into his 1936 movie Modern Times. In Modern Times, Chaplin’s lovable and classic Tramp, representing everyman, stumbles onto a seaside dock. He notices the dock’s shipping building is shut down. A truck passing by drops a red warning flag, from its load. 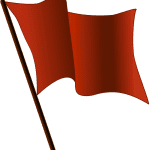 The Tramp picks up the red flag, signaling to the disappearing driver. As the truck disappears, the Tramp finds himself engulfed by the striking dock workers on the march. Authorities arrive. They seize the Tramp. Based solely upon guilt by association, the Tramp disappears into the justice system and is removed from society. In Chaplin’s 1940 movie The Great Dictator, Charlie Chaplin drew upon the extraordinary writing skills of Daniel Lewis James Jr. to present an authentic American voice of protest for social justice. 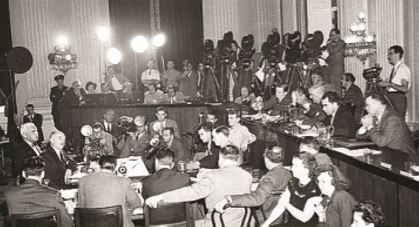 “The House Un-American Activities Committee [HUAC] had commenced its investigations into Communism in the entertainment community and wreaked havoc with our whole world. The studios helped with their patriotic duty to expose Communist propaganda by refusing to hire anyone who did not cooperate with the Committee. This was the famous ‘Blacklist.’ People often think of the Blacklist as something the government did, but it was the ‘patriotic’ studio heads who instituted it. The government just forced people into the position where they had to deal with it. Cooperation meant recanting your communism and naming all the people that you knew were (or had been) in the Party. 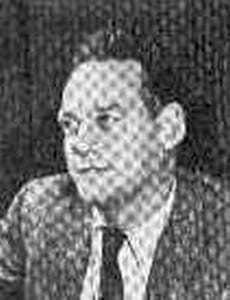 …Under investigation in the HUAC hearings, Barbara [Barbara James, Dan’s daughter] perceived that “Pop and Mama and other ex-Commies in the same boat, got given three basic choices. “Tell the Committee that you have a right to free association under the First Amendment, and your political beliefs are protected from government interference. People who did this went to jail for the rest of the term of the Congress in session, which was generally about 10 months. “Tell the Committee that you are not a Communist and that you will not tell them whether you have ever been a Communist. After the Smith Act became law, the Party was an illegal organization, so you could refuse to answer questions about people who were in the Party by citing the Fifth Amendment prohibition against self-incrimination. You didn’t go to jail, but the studios blacklisted you and you could not get work. You may wonder why the Studios invented and used the Blacklist. In one word – union busting. It was a great way to break the Screen Writers’ and Screen Actors’ Guilds, as well as to get cited as patriots. 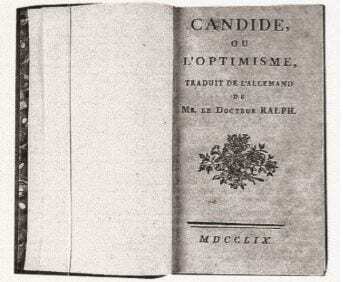 The copy of Voltaire’s Candide, owned by Daniel Lewis James Sr.
…Dan James had hoped to produce his father’s first edition of the book Candide. The author Voltaire had published the book under the pseudonym, Monsieur Le Docteur Ralph. With his visual aid in hand, Dan intended to confront HUAC. If HUAC continued to prevail in their ruthlessness, if Congress continued to deprive one’s freedom of association, and if the United States government continued to despoil freedom of expression, all writers would be forced to disguise their identities like Voltaire. Dan was cut off. As Barbara said, “He got run over by a well-oiled train. They didn’t let him get his book out of his pocket, and he was only allowed to say that he refused to incriminate himself.” Dan James was blacklisted as a Hollywood screenwriter. In effect, his own federal government had exiled him. Just as Dan James predicted, his identity as a writer was forced underground. …Dan James watched as his screenwriting career expired in slow motion.